See all the top sights along South Africa’s Cape Peninsula on this full-day tour from Cape Town. With a mix of independent sightseeing and guided visits, you’ll have the flexibility to do the things you want to do, plus learn about the region from your expert guide. Explore Hout Bay and take an optional boat trip to Duiker Island. Spend time at leisure in Cape of Good Hope Nature Reserve and visit Simon’s Town on the peninsula’s east coast – home to a colony of African penguins! On the drive back you will have time to stop for a walk at Kirstenbosch Botanical Gardens. 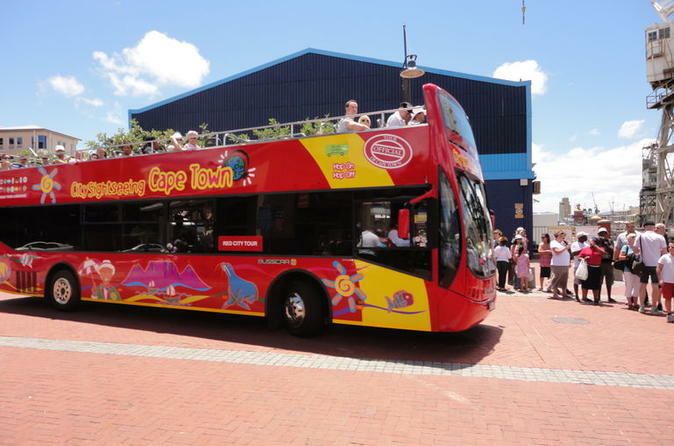 Explore the best of Cape Town’s world-famous attractions aboard an open-top, double-decker City Sightseeing bus! 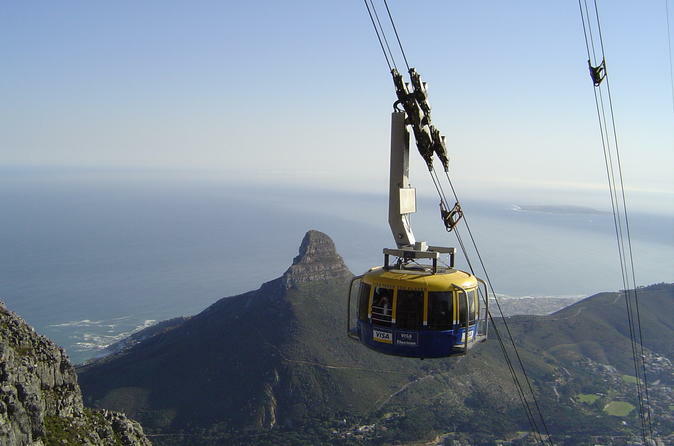 With two routes to choose from, this hop-on hop-off tour of Cape Town is the easiest way to get around the city and see all the sights in just one or two days. Also included in the two-day pass are a wine tour, a nighttime bus tour to see the famous Cape Town sunset over the Atlantic Ocean and a Canal Cruise. See Cape Town from the top of Table Mountain, and then head into town to see the city highlights up close with an expert guide. 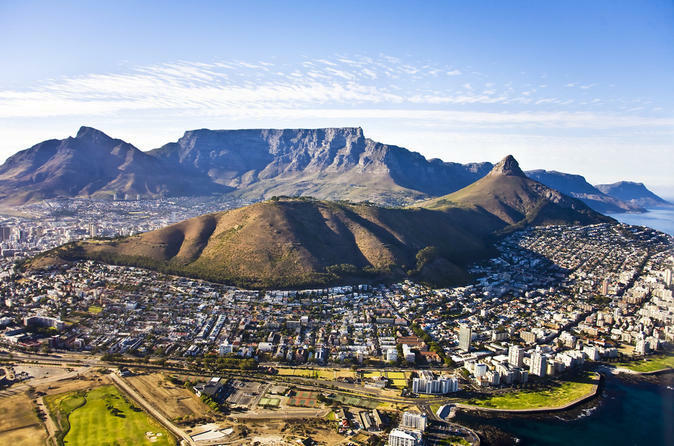 After descending from South Africa’s iconic flat-topped mountain by cable car (ride at own expense), you’ll see top Cape Town attractions, like the Diamond Works, as well as colorful neighborhoods like Malay Quarter on Signal Hill, during a luxury minibus tour. Experience a thought-provoking guided tour of Cape Town and Robben Island, where the late Nelson Mandela was imprisoned for 18 years. Learn the sobering history of apartheid at the District Six Museum and observe the lasting effects of this history on the townships of Langa, Gugulethu and Khayelitsha. 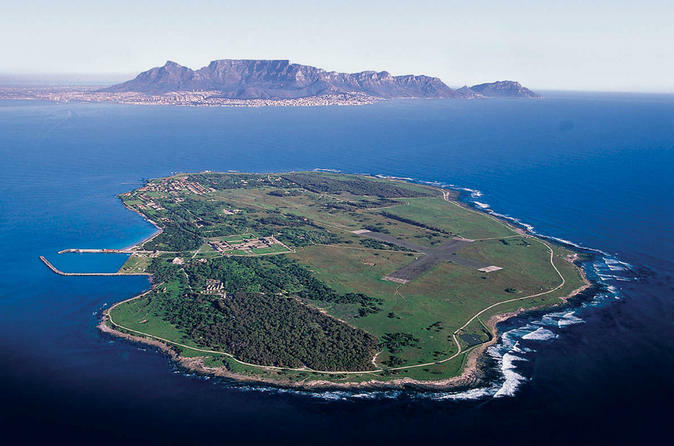 See the residents’ inspiring efforts to improve their livelihoods and local infrastructure, and then ferry over to Robben Island, a UNESCO World Heritage site, and tour the former maximum-security prison for political prisoners. 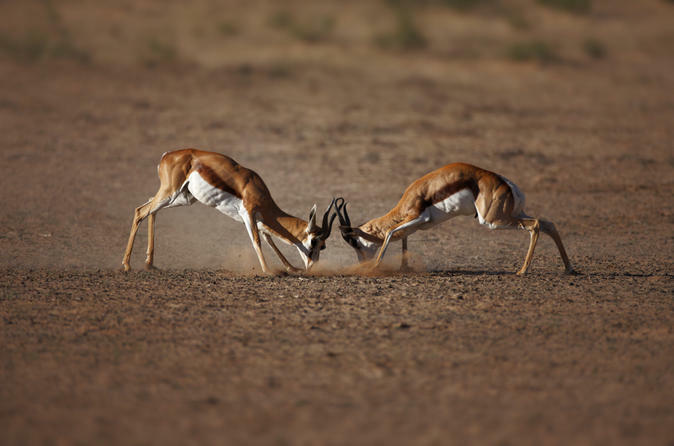 Visit the incredible Aquila Game Reserve -- the closest game reserve to Cape Town – on this full-day safari tour! With hotel pickup from your central Cape Town hotel included, this day trip provides a worry-free experience so all you have to do is get excited for your exploration of the private, malaria-free reserve. Take an unforgettable game drive through the park, watching out for famous Big Five animals, as well as endangered species like the ‘Aquila’ Black Eagle. 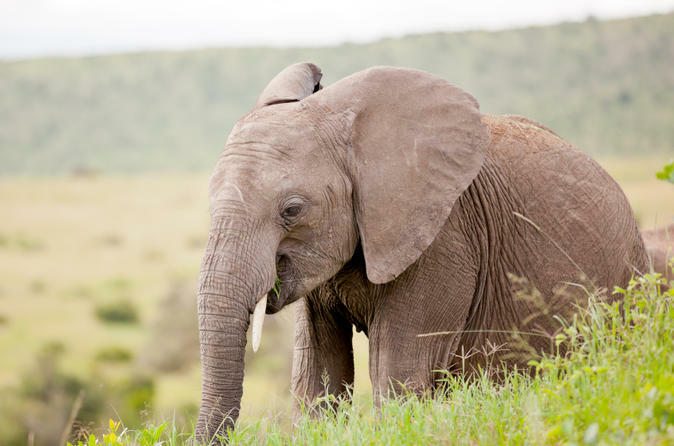 This trip offers guided safaris in two prestigious private game reserves, a guided bush walk safari as well as a chance to walk alongside orphaned elephants. Visit the ostrich capital of the world and get a chance to try local delicacies for a taste of authentic South African culture. Discover the highlights of South Africa’s legendary Garden Route – including Addo Elephant National Park, Jeffreys Bay, Wilderness National Park and Oudtshoorn – on a 5-day tour from Cape Town. You’ll explore this coastal paradise with an experienced guide: hike in old-growth forests, see endangered animals in wildlife reserves, canoe through pristine waters and relax on white sand beaches. A combination of guided tours and optional activities allows you to tailor this trip to your taste for adventure. Leave Cape Town behind for the day and see another side of this glorious land. 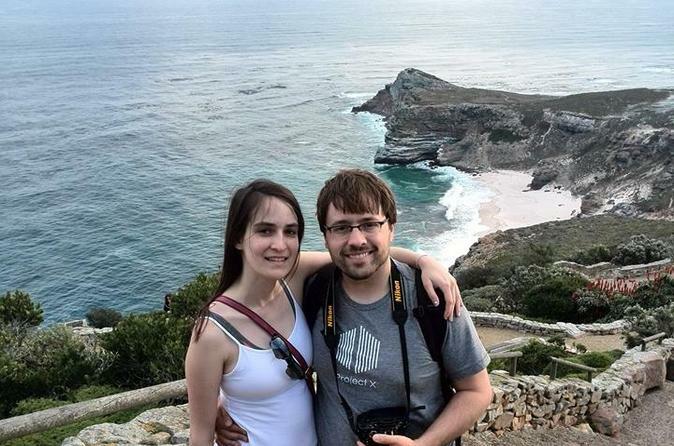 This 8-hour private tour for couples, friends traveling together, or small parties whisks you out of Cape Town to explore the peninsula's natural beauty: see Cape Point, Cape of Good Hope and Boulders Beach. The local guide offers the choice of two amazingly scenic drives. Marvel at the sight of hundreds of penguins, visit Africa's most south-westerly point, and possibly spy baboons and other local wildlife. Take this opportunity to go whale watching from one of the best land based viewing spots in the world, Hermanus. 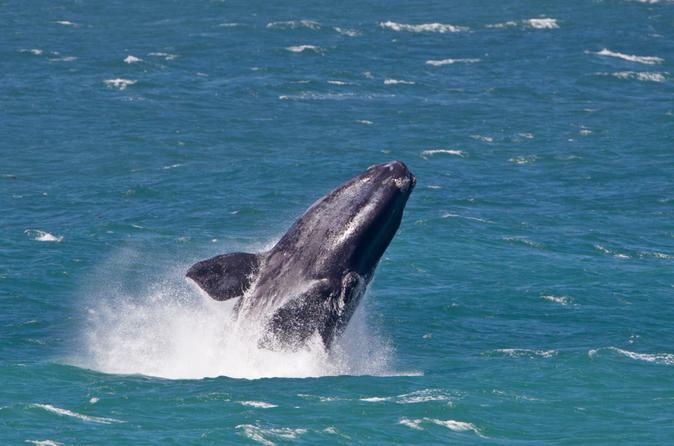 From July to November the Southern Right Whale comes to breed in this seaside town, just outside of Cape Town. 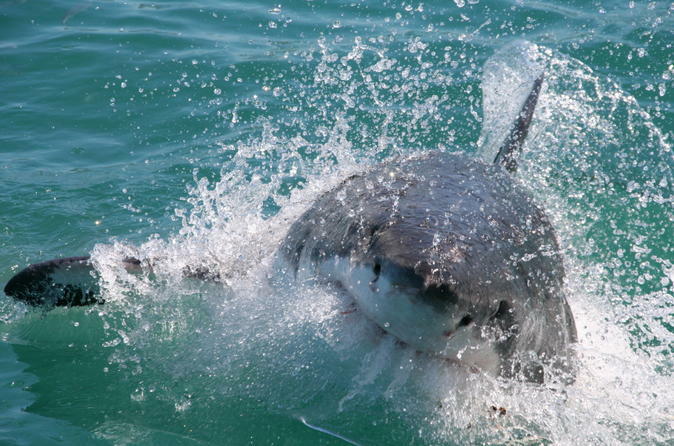 You will also have time time to explore the fishing and holiday town of Hermanus and stop for a wine-tasting. 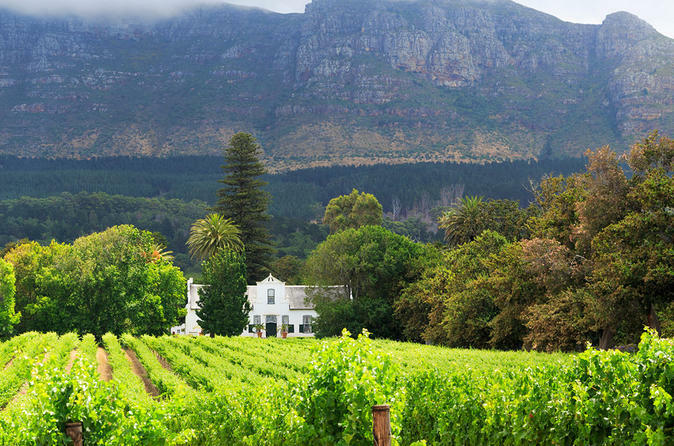 This full Day Private Tour of the Cape Winelands for couples,friends travelling together or small parties takes you to Stellenbosch, Franschhoek and Paarl, the biggest wine regons in South Africa. 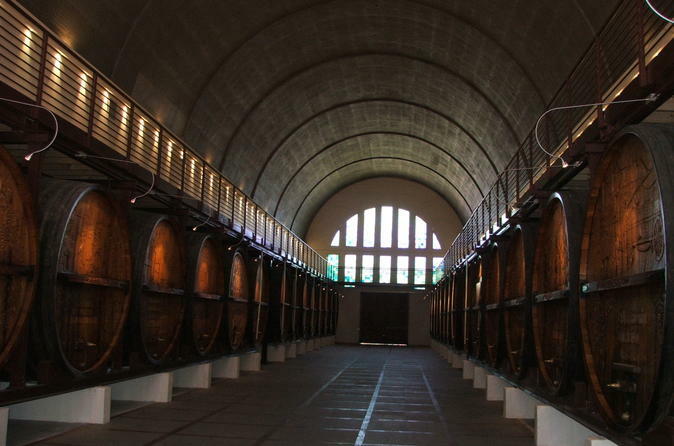 You will experience the beauty of the main towns (also the University town and campus drive) and sample about 16 different wines for the day. To satisfy your palate we will accommodate your personal palate as far as possible. All tasting fees included in this tour. For your own account we will arrange lunch on a vineyard with spectacular views over one of the many stunning valleys. Master tasting forms part of the tour. It could be wine and chocolate pairing, wine and cheese pairing or wine and biltong (dried meat) pairing. 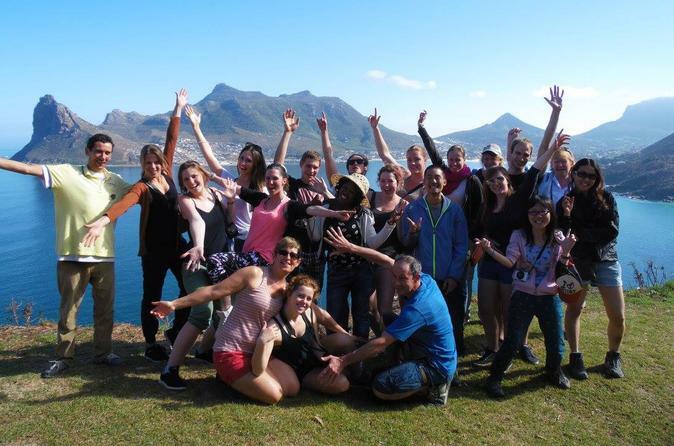 This Cape Peninsula full day tour includes a morning snack, picnic lunch, guided commentary and all entrance fees, making it the most affordable and fun way to see the Cape Peninsula! Start the day with a scenic drive via Camps Bay Beach and the 12 Apostles. Stop at Hout Bay Harbour (optional boat trip to Seal Island), marvel at the views from Chapman's Peak Drive and visit the penguin colony in Simon's Town. 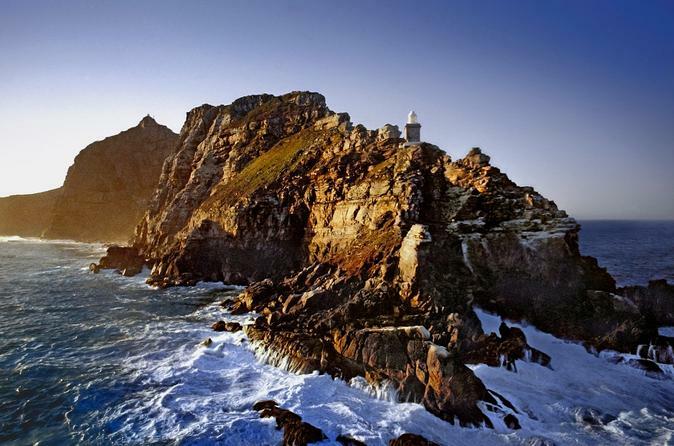 Your last stop, the spectacular Cape Point Nature Reserve, will put you on a natural high for the rest of the week! Enjoy a cycle through the scenic reserve ( approx 40 mins) followed by a picnic lunch and easy hike to the South-Western most point of Africa (approx 45mins). Discover Cape Town’s cultural heritage and get a snapshot of township life on this 3.5-hour tour. 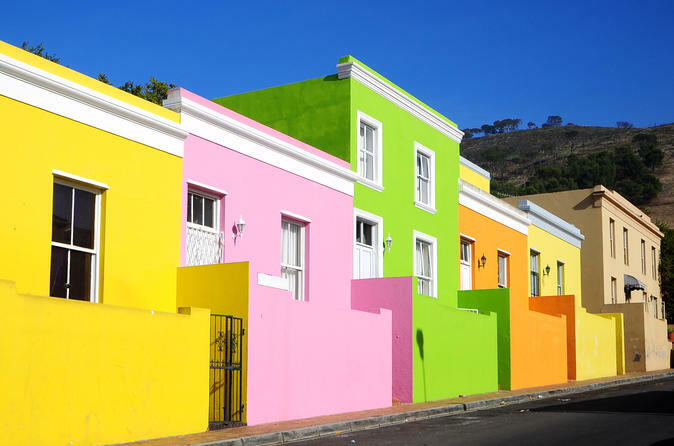 With a knowledgeable guide at your side, take in the kaleidoscopic houses of Bo-Kaap, otherwise known as the Malay Quarter, and then visit three townships on the outskirts of the city. 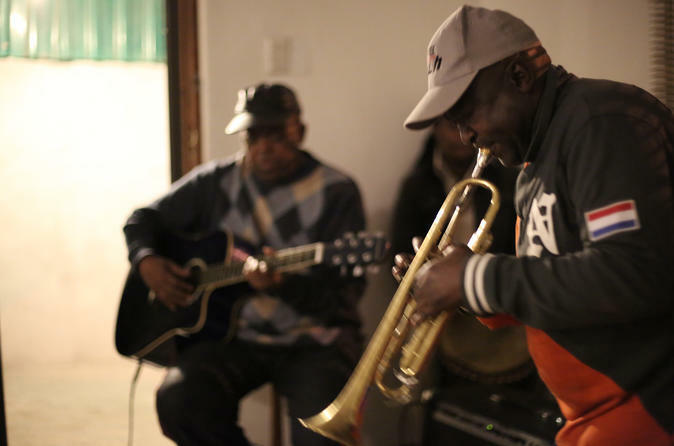 Learn about Xhosa culture in Langa, watch artists and craftspeople at work in Gugulethu, and then tour the fast-growing township of Khayalitsha with a local. 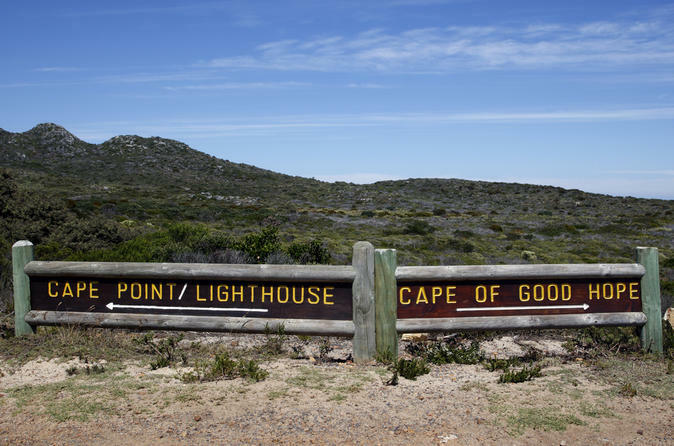 The Cape Peninsula, also known as Cape Point or Cape of Good Hope is the most popular of all the Cape Town tours. Your visit will not be considered complete if you skip this tour. Thousands of guests, like you, have trusted these local guides' services. Top professional guides, shared transport, hotel collection and drop off, free cold bottled water and free Wi-Fi on board air-conditioned vehicles are just a few things you get with this all-inclusive tour. 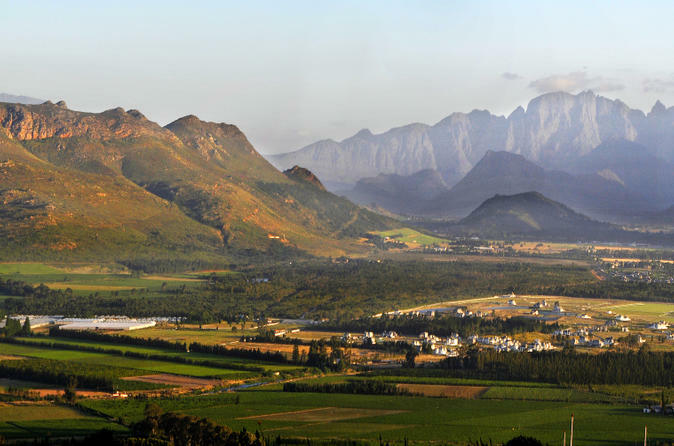 Visit the heart of the beautiful Stellenbosch winemaking region on a half-day wine tour from Cape Town! The perfect activity if you’re short on time, this comprehensive wine tour includes a walk around central Stellenbosch, with its friendly small-town aura and romantic Cape Dutch buildings, as well as a wine estate tour. Sample the region’s famous red Pinotage wine and learn about the region’s ideal winemaking climate. 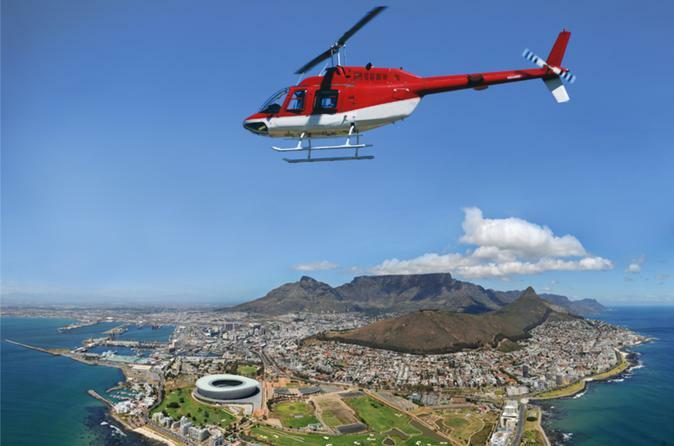 Head to the skies on a 18-minute helicopter tour from Cape Town, and soar above the Atlantic coast, known locally as the Atlantic Seaboard. Leaving the V&A Waterfront, enjoy incredible views of the City Bowl – a tantalizing sign of the good sights still to come! Circle Table Mountain and glide over dramatic stretches of coastline, comprising sandy beaches framed by mountains and, of course, the dazzlingly blue Atlantic Ocean. See the best of the Cape Peninsula on a private day trip from Cape Town! Sit back and relax as your attentive guide drives you along Chapman’s Peak Drive, a spectacular marine road, to Cape Point and the Cape of Good Hope. After walking around these stunning sites, head to Boulders Beach to penguin spot at leisure, and then finish with a wine-tasting session and tour at the Groot Constantia wine estate in Constantia Valley. 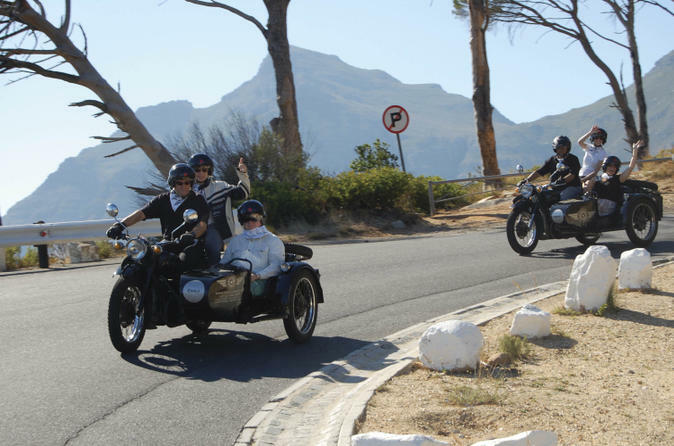 Discover the beauty of the Cape Winelands in a unique fashion - on a vintage World War II Sidecar! 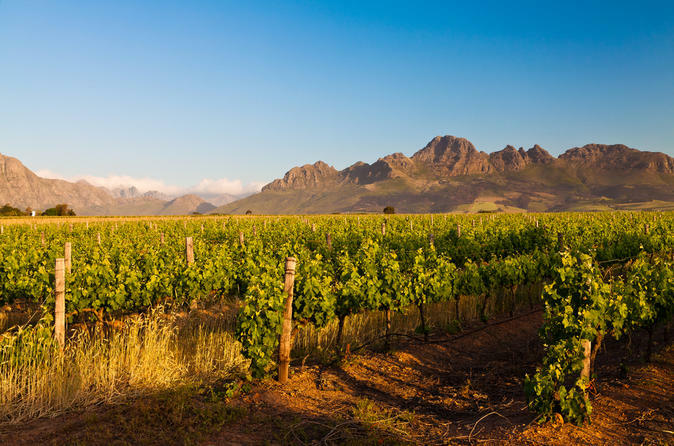 This tour will give you the opportunity to visit some of the most famous vineyards outside of Cape Town, including the towns of Paarl, Franschoek, and Stellenbosch. Motorbikes can carry up to two passengers, and are driven by a qualified guide, who will ensure you have vintage day out. Tour The Cape Peninsula and learn photography along the way from your photo guide. 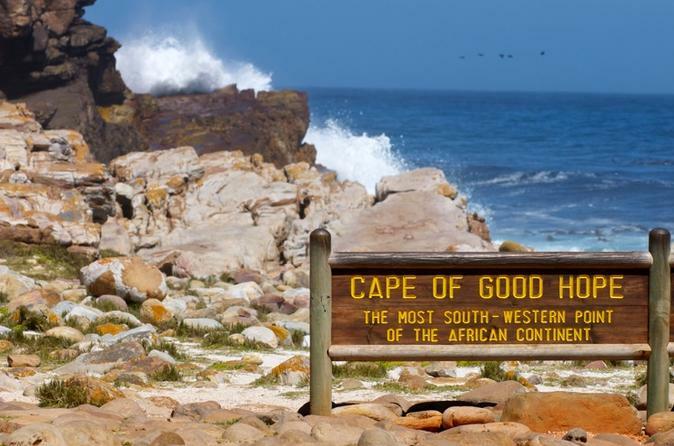 Visit all the main attractions along the way including the penguins at Boulders Beach and the Cape of Good Hope along with some special places that only the locals know about. A route is planned out for the Peninsula, maximizing the photographic opportunities and time for light conditions, etc., but please feel free to ask for assistance with your itinerary as requested. 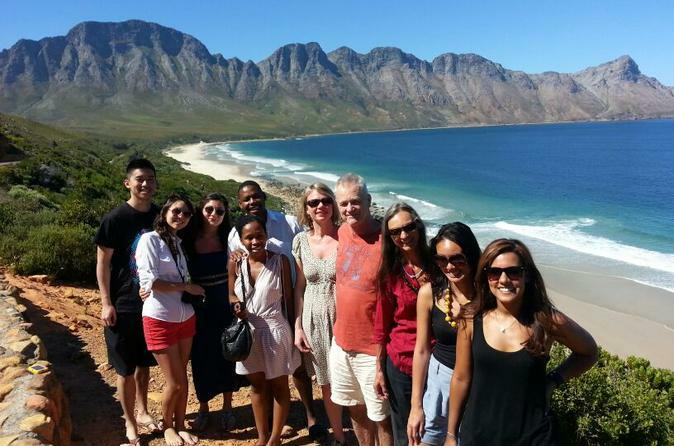 See the highlights of Cape Town on a full-day tour, led by a local private guide! After enjoying panoramic city views from Table Mountain or Signal Hill, head into town to see the sights up-close on a walking tour. Pass colonial-era sights such as Company’s Gardens and the Castle of Good Hope, and then travel to Bo-Kaap neighborhood for photos. Enjoy free time at the V&A Waterfront, and then finish the day with a drive along the dramatic Atlantic coastline. The itinerary is flexible and can be tailored to spend more time at the city tour's highlights that interest you the most. 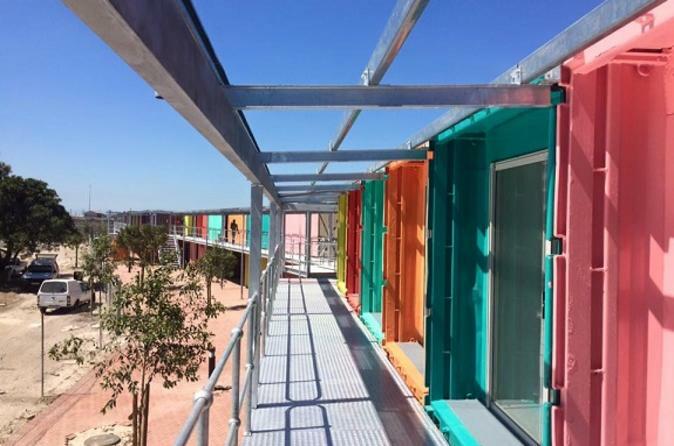 Originally built as areas of segregation, Cape Town's townships are experiencing new life. On this tour guests visit two key township central business districts, and learn about how the townships are shaping up as important central nodes. Explore some of the city's best known townships including its oldest, Langa, and its fastest growing, Khayelitsha. Interact with proactive community members who are shaping the future of the townships, and, by extension, the city. Hit the road and explore South Africa’s gorgeous Garden Route, an expanse of the south coast that stretches from the Western to Eastern Cape. With a guide, enjoy a Wilderness National Park canoe session (suitable for first timers), or a Cango Caves tour, and a game drive. 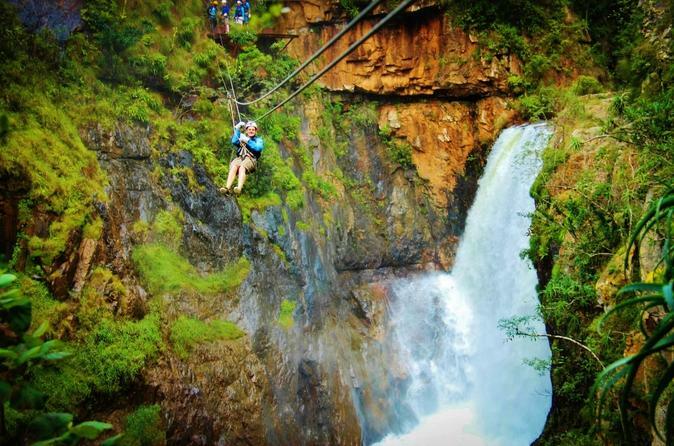 Free time is also included for you to take part in optional activities such as a Bloukrans Bridge bungee jump! Meals are at your own expense, but a choice of budget or 3-star guesthouse accommodation is offered in Oudtshoorn and Sedgefield — surrounded by nature at its best. 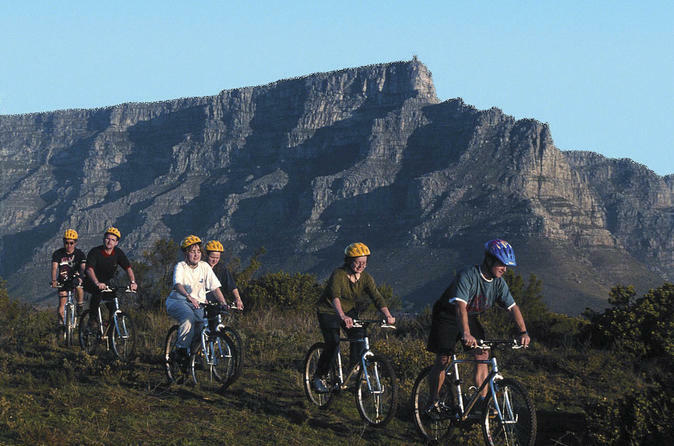 Unleash your adventurous streak on this three-hour mountain biking tour on Cape Town's iconic landmark, Table Mountain. Enjoy a fun-filled dirt track riding experience while discovering the true beauty of the mountain slopes! 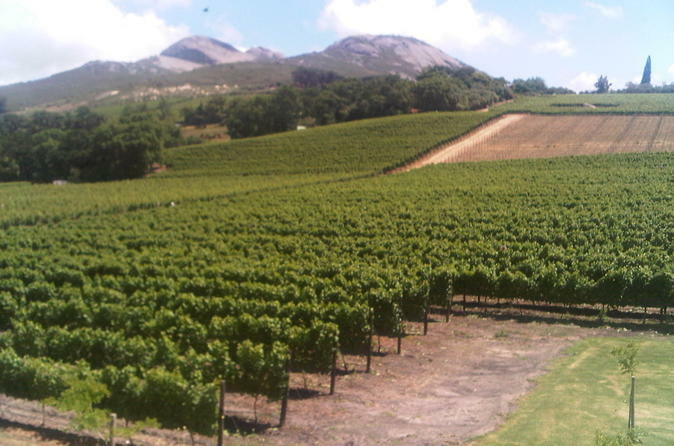 Choose from a morning or afternoon departure to start your 4-hour private Winelands tour. You will visit two of the largest wine regions (Stellenbosch and Franschhoek) and taste about 15 different wines at three different vineyards. Enjoy a panoramic route to the two towns with time to take pictures of the mountains, valleys, and the beautiful estates. This tour is ideal for couples, families, or small parties traveling together. 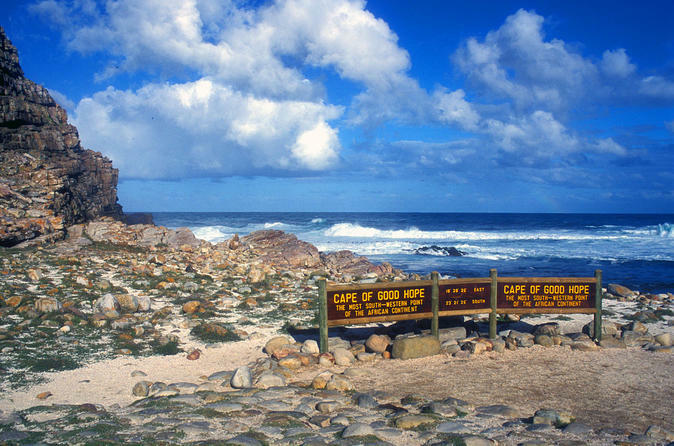 Enjoy a scenic drive of the Cape Peninsula taking you all the way to the most South Western tip of Africa, the mythical meeting place of the Atlantic and Indian Oceans, known as Cape Point. This interactive tour takes you along the beautiful Atlantic sea-board, rugged coastlines such as the Twelve Apostles and other natural landmarks. These include a drive along Chapman's Peak, one of the most scenic drives in the world, a drive past the popular South African beaches of Camps Bay and Clifton. Ostrich viewing and an optional visit to the famous penguin colony at Boulder's Beach, not to mention incredible views as your journey takes you past the charming fishing villages of Simon's Town, Kalk Bay and Muizenberg. A stop at Kirstenbosch Botanical Gardens, a famous botanical garden nestled at the eastern foot of Table Mountain in Cape Town, is a bonus for plant lovers. For those with limited time, this tour to Cape Point and Boulders Beach Penguin Colony is offered as a half day option. This is an awe-inspiring tour to the towering headland known as Cape Point. Magnificent beaches, breathtaking views, historic and picturesque coastal villages are to be seen along the way. 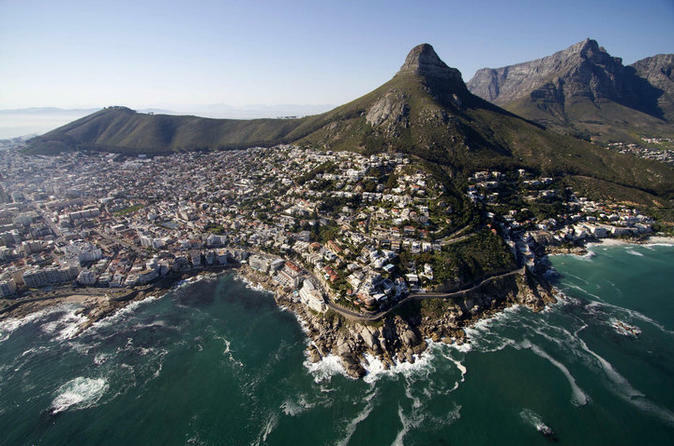 The Cape Peninsula is one of the world's most scenic areas and stretches from the city centre to Cape Point. 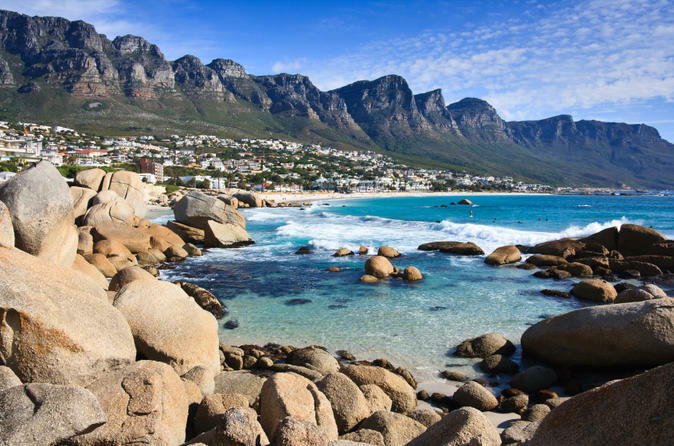 Spend a day exploring the beautiful Cape Peninsula on this tour from Cape Town. 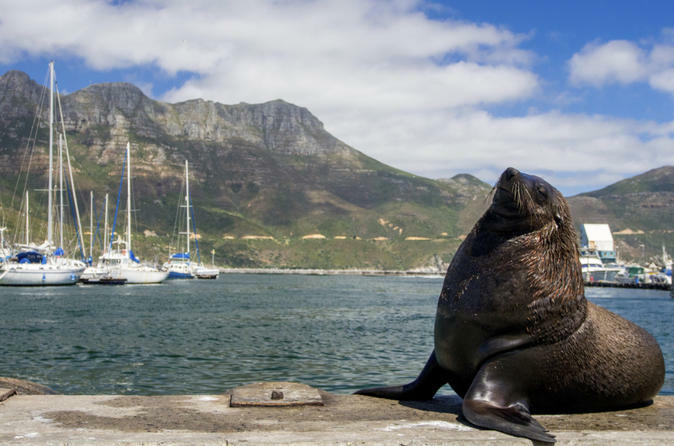 With a professional guide, travel to Hout Bay and enjoy free time to wander independently or see the seals on Duiker Island. Then, cruise along Chapman’s Peak Drive to the Cape of Good Hope. Along the way, stop at Cape Point to drink in the jagged scenery and wander amid the fynbos. 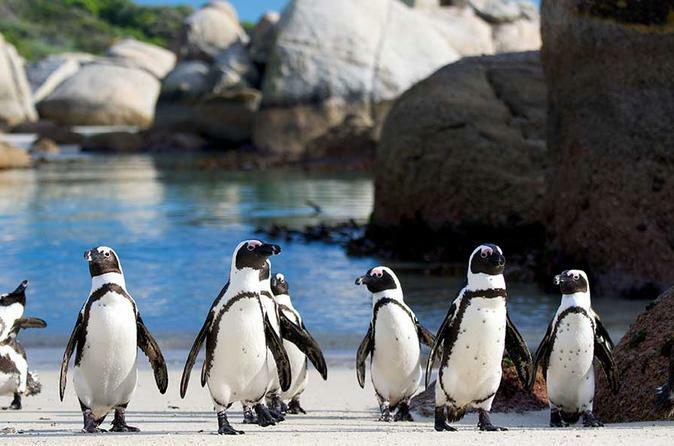 You’ll also have the option of visiting Boulders Beach, where you can get up close to African penguins. Numbers limited to 13, ensuring a small-group experience. 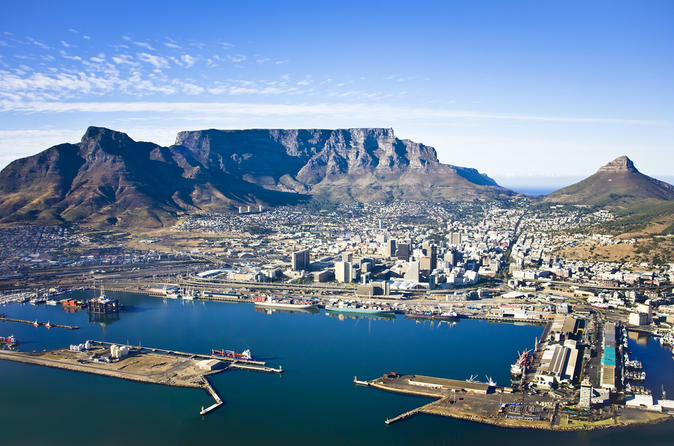 A tour designed to maximize on your time in Cape Town, this tour includes all the ‘must-sees’ when in the Mother City – Robben Island, Table Mountain and the city itself. The tour encompasses visits of historical, cultural and aesthetic significance to Capetonians and South Africans at large. 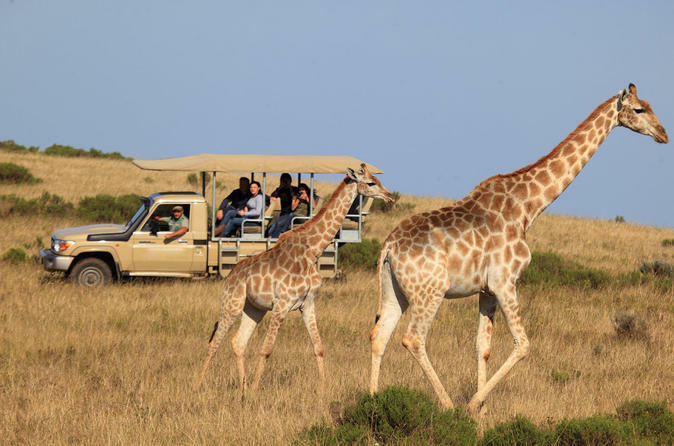 Take a unique tour that combines a zipline, learning about cheetahs and wine tasting in some of the Cape Towns' most stunning and pristine natural environments. This route meanders through the Cape Folded Mountains, home to many free-roaming animals. Keep an eye out for animals such as a Leopard, Caracal (Lynx), Cape Fox, Baboons, Duiker (antelope), Dassie (Hyrax), Klipspringer (antelope), Porcupine and a large species of bird life. Experience the road trip of a lifetime along South Africa's stunning Garden Route. 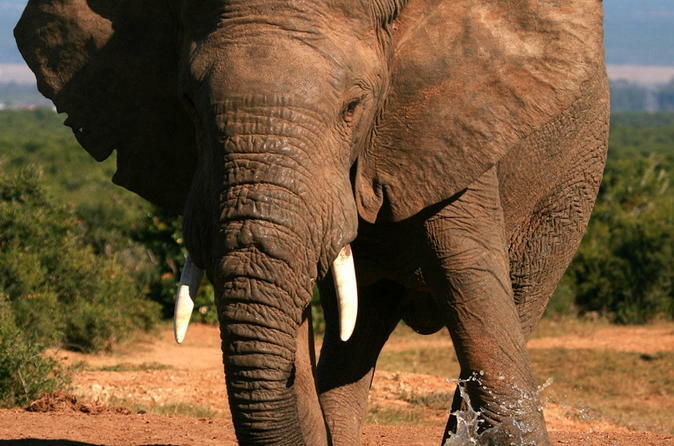 Visit incredible locations such as the Cape Agulhas, ride a canoe in the Wilderness National Park, enjoy a craft beer and local wine tasting, hike in the Tsitsikamma National Park, relax in South Africa's amazing beaches and participate in a real safari at the Addo Elephant National Park. This awe-inspiring tour to the towering headland known as Cape Point encompasses magnificent beaches, breathtaking views, and picturesque coastal villages. 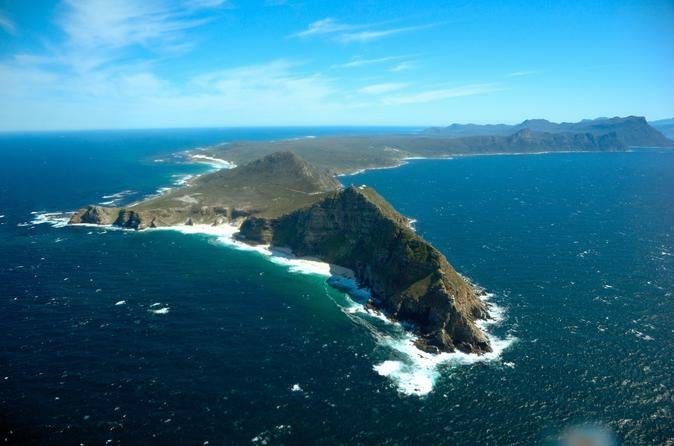 The Cape Peninsula is one of the world’s most scenic areas and stretches from the City Center to Cape Point. 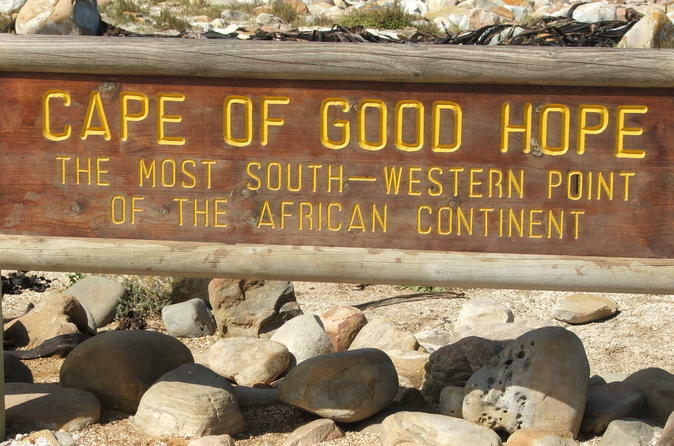 Your Cape of Good Hope and Cape Point tour will be strictly private and flexible with time. Tour departs from your hotel at your convenience in a private vehicle. Included in your tour are refreshment on boards, free WiFi and entrance fees to all activities. 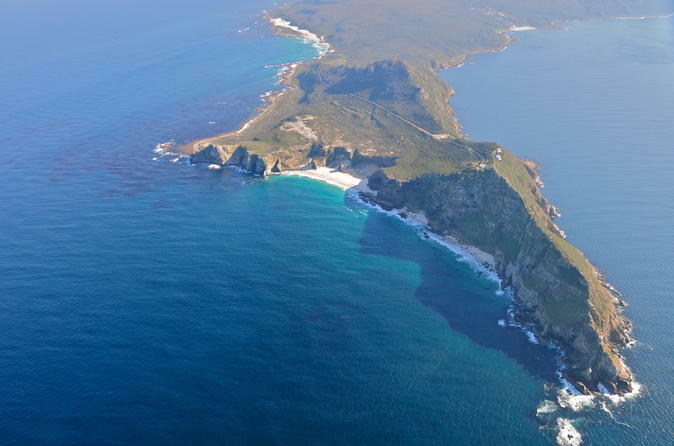 This 45-minute helicopter tour from Cape Town highlights the dramatic natural scenery of the Cape Peninsula and its two famous capes – Cape of Good Hope and Cape Point. 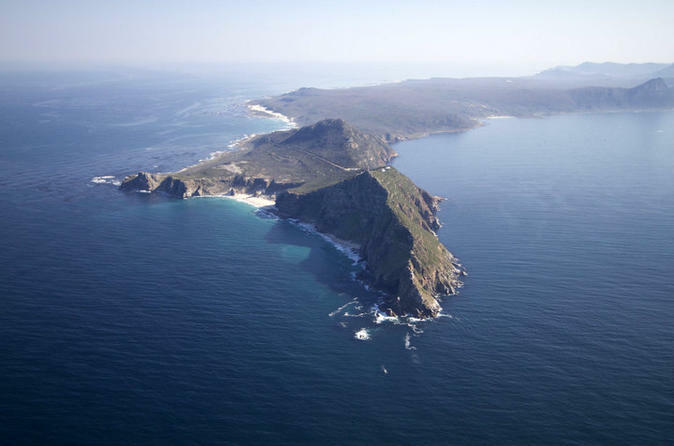 Fly over Table Mountain National Park and along the shores of False Bay, taking in the beautiful beaches and the rugged coast line as you reach the capes. Then soar over Boulder's Beach and the surfers’ paradise of Muizenberg before heading back to the city over the beautiful vineyards of Constantia.